Launch from the Baikonur Cosmodrome (Fyodor Yurchikhin and Oleg Kotov). 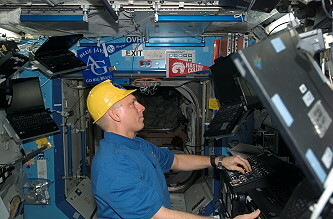 Clayton Anderson arrived on June 10, 2007 with STS-117. 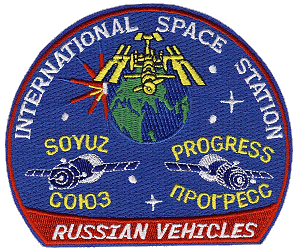 The Expedition 15 officially began with undocking of Russian spacecraft Soyuz TMA-9 on April 21, 2007 at 09:11 UTC and Expedition 14 ended. Progress M-60 was launched at 03:25:36 UTC on May 12, 2007. The spacecraft docked with the Aft port of the Zvezda module at 05:10 UTC on May 15, 2007. Progress M-60 carried supplies to the International Space Station, including food, water and oxygen for the crew and equipment for conducting scientific research. 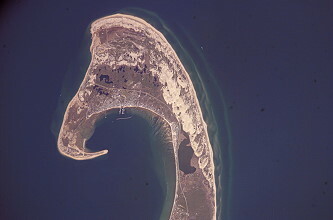 The freighter remained docked for four months before undocking at 00:36:51 UTC on September 19, 2007. Following undocking it conducted research as part of the Plazma-Progress program for a week prior to being deorbited. 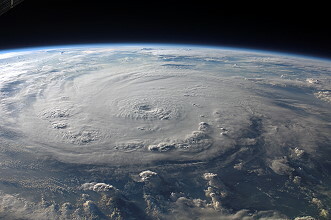 It was deorbited at 19:01 UTC on September 25, 2007. The spacecraft burned up in the atmosphere over the Pacific Ocean, with any remaining debris landing in the ocean at around 19:47 UTC. The first station EVA by Fyodor Yurchikhin and Oleg Kotov occurred on May 30, 2007 (5h 25m) to install orbital debris protection panels on the Zvezda Service Module and replace experiments on the hull of Zvezda. Fyodor Yurchikhin and Oleg Kotov embarked on their first of two spacewalks aimed at armoring Zvezda with Service Module Debris Protection (SMDP). The cosmonauts exited the station through the Pirs airlock and split up. 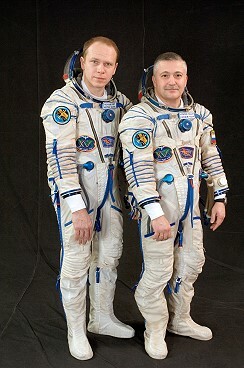 Oleg Kotov went to PMA-3 and Fyodor Yurchikhin headed to the Strela 2 on Pirs. Oleg Kotov guided Fyodor Yurchikhin to maneuver the crane to the SMDP stowage rack located on PMA-3. The rack contained 17 SMDP panels in total and was nicknamed the "Christmas Tree." Oleg Kotov attached the Christmas Tree to Strela 2 and Fyodor Yurchikhin moved the Tree and Oleg Kotov back to a grapple fixture on Zvezda. Fyodor Yurchikhin then joined Oleg Kotov on Zvezda's large diameter to reroute a GPS cable to be used with the European ATV scheduled for launch later in the year. The duo turned their attention back to the Christmas Tree and opened one bundle of five debris panels, which they affixed to the conical section between Zvezda's large and small diameters. On June 18, 2007 Space Shuttle STS-117 docked with the International Space Station. The integrated truss segments started with Starboard zero (S0) as the center assignment and were numbered in ascending order out?ward to the port and starboard sides. Starboard is the right side and port is the left side of the truss structure. Z is zenith and is up. The SARJ continuously rotates to keep the SAW on S4 and S6 (S6 launched on shuttle mission STS-119) oriented toward the sun as the station orbits the Earth. Each SAW is also oriented by the BGA, which can change the pitch of the wing. Each wing measures 115 feet (35.1 meters) by 38 feet (11.6 meters) and extends out to each side of the Integrated Equipment Assembly. There are two wings on S4. Following docking, Pilot Lee Archambault and Mission Specialist Patrick Forrester used the shuttle's Canadarm to grapple the S3/S4 truss, lift it from its berth in the payload bay, and maneuvered it for handover to the station's Canadarm2. After hatch opening, Sunita Williams used the Canadarm2 to take the truss from the shuttle's robotic arm. That task was completed at 00:28 UTC marking the completion of the handover. The truss remained grappled to the station's arm until next day's installation. The first EVA was performed by James Reilly and John Olivas on June 11, 2007 (6h 15m). After venturing out of the Quest airlock into space, Mission Specialists James Reilly and John Olivas released launch restraints on the four Solar Array Blanket Boxes, which house the folded solar arrays. They made final attachment of bolts, cables and connectors, and began preparations for the activation of the truss. The two spacewalkers rotated the array canisters into their normal position for deployment on the next day. The start of the spacewalk was delayed for about an hour after the station temporarily lost attitude control when the station's control moment gyroscopes (CMGs) went offline. The spacewalk started after station's gyroscopes were initialized by flight controllers. The successful deployment of the S3/S4 solar arrays was the highlight of the flight day 5, adding significantly to the ISS power generation capabilities. Prior to crew wake up, station controllers began unfurling the solar array attached to the S3/S4 truss segment. Shuttle crew then took over, unfolding one wing at a time in stages, pausing to let the sun warm the solar array panels which helped to prevent the thin individual panels from sticking together. The crew finished unfolding the first wing at 06:29 UTC and the second at 07:58 UTC. The issues appeared to have been resolved by the end of the day and the station's gyroscopes took over attitude control shortly after 11 UTC. That was followed by relocation of the Mobile Transporter in preparation ahead the next day's spacewalk. The crew or shuttle/station combined stack never was in danger throughout the troubleshooting efforts. 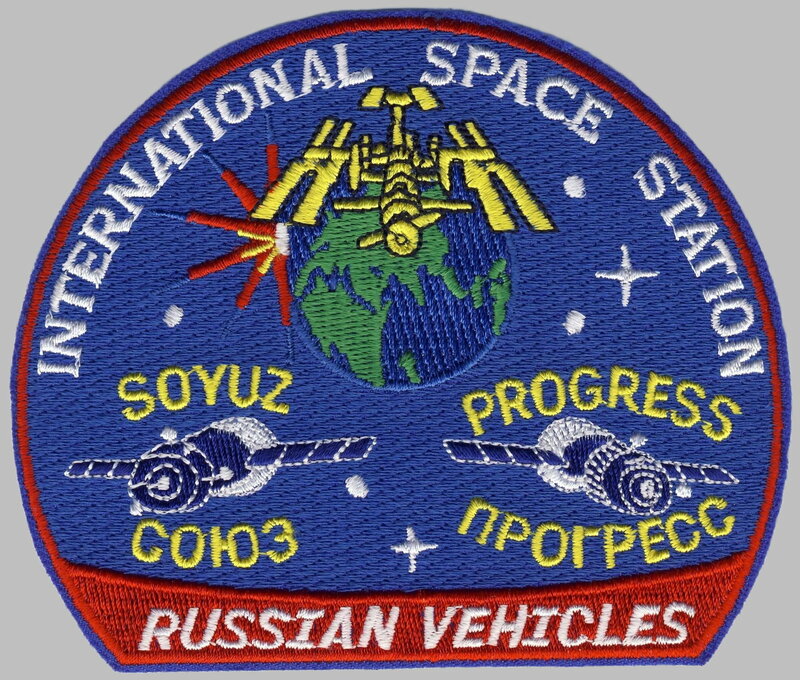 On flight day 7 a computer malfunction on the Russian segments of the ISS occurred at 06:30 UTC and left the space station without orientation control. A successful restart of the computers resulted in a false fire alarm which awakened the crew at 11:43 UTC. Engineers theorized that the new S4 solar array, or components in the circuitry delivering that power to the Russian segment of the ISS, triggered some subtle change in the ISS electrical grid. The third EVA by James Reilly and John Olivas was conducted on June 15, 2007 (7h 58m). While John Olivas anchored to the end of Atlantis' robot arm was repairing the OMS pod, James Reilly installed an external hydrogen vent for the oxygen generating system inside Destiny laboratory. By using his helmet camera, John Olivas beamed down close-up views of the torn insulation and surrounding blankets to help flight controllers assess the system's condition. John Olivas spent two hours stapling and pinning down a thermal blanket on the OMS pod. On June 19, 2007 STS-117 undocked from the ISS and moved to a distance of about 450 feet (137.2 meters), where Lee Archambault began to fly around the station in its new configuration. Progress M-61 was launched at 17:33:47 UTC on August 02, 2007. 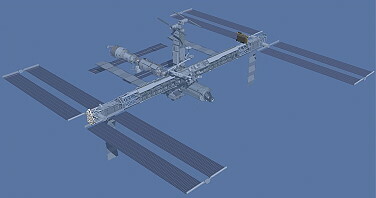 The spacecraft docked with the Pirs module at 18:40 UTC on August 05, 2007. Progress M-61 carried supplies to the International Space Station, including food, water and oxygen for the crew and equipment for conducting scientific research. 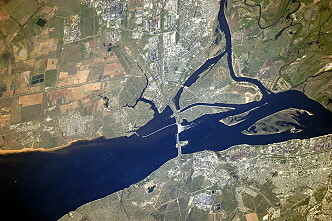 The freighter remained docked for almost five months before undocking at 03:59 UTC on December 22, 2007. Following undocking it conducted technological experiments and research as part of the Plazma-Progress program for a month prior to being deorbited. 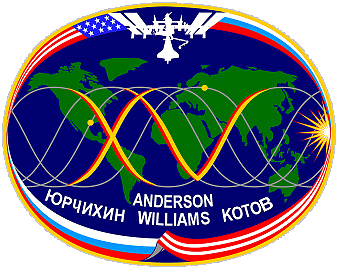 It was deorbited at 19:06 UTC on January 22, 2008. The spacecraft burned up in the atmosphere over the Pacific Ocean, with any remaining debris landing in the ocean at around 19:51 UTC. STS-118 arrived on August 10, 2007 at the International Space Station. The STS-118 (ISS 13A.1 SH-LSM ITS-S5) mission delivered and assembled the starboard S5 truss segment of the International Space Station, as well as External Stowage Platform 3, (ESP-3) and a replacement Control Moment Gyroscope (CMG). The mission was also the final flight to include the Spacehab Logistics Single Module. S5 is part of the 11-segment integrated truss structure (ITS) and the third starboard truss element to be delivered. 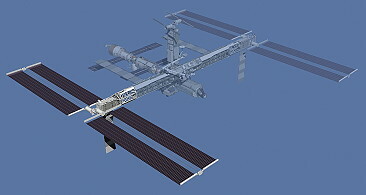 Without S5, one quarter of the space station's power cannot be realized. The ITS forms the station's backbone with mountings for unpressurized logistics carriers, radiators, solar arrays and various other elements. S5 was attached to the Starboard 4 (S4) truss element via the Modified Rocketdyne Truss Attachment System (MRTAS) interface. S5 is used primarily to connect power, cooling lines and serve as a spacer between the S4 photovoltaic module (PVM) and Starboard 6 (S6) PVM, which will be joined during a later assembly mission. S5 is very similar in construction to the long spacer located on S6. Without the S5 short spacer, the S4 and S6 solar arrays would not be able to connect due to the way the photovoltaic arrays (PVA) are deployed on-orbit. The girder-like structure is made of mostly aluminum and provides several extravehicular aids, robotic interfaces, ammonia servicing hardware (as part of the Station's External Active Thermal Control System that allows ammonia fluid to transfer from S4 to S6) and can also accommodate an external storage platform. The Enhanced Universal Trunnion Attachment System (EUTAS) allows platforms to be attached to S5 for the storage of additional science payloads or spare Orbital Replacement Units. S5 also has white thermal blankets on the structure, which help shade the S4 Solar Array Assembly ORUs. 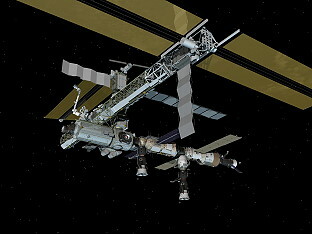 S5 was transferred using the shuttle arm from the payload bay to the Space Station Robotic Manipulator System (SSRMS) where it was placed into the install or soft-dock position. While being moved on the SSRMS, S5 will have about two inches of clearance as it passes the S4 Sequential Shunt Unit (SSU). The truss element is installed robotically with help from crew members. During the first spacewalk, astronauts will use the MRTAS to connect S5 to S4 by using their portable hand tools to drive in four 3/4 inch diameter primary bolts in each corner. If a primary bolt cannot be secured, two contingency bolts at each corner on S5 can be tightened into the nut assemblies on S4. Another unique feature of S5 is the Photovoltaic Radiator Grapple Feature (PVRGF). For launch, the PVRGF is stowed on top (zenith) of S5 and is used by the shuttle and station robotic arms to grab S5 and pull it out and attach it. After S5 is attached to S4, the PVRGF will be relocated to the keel during the first spacewalk by using four fasteners. The PVRGF also is used to grapple the station's photovoltaic radiators (PVR) located on P3/P4, S3/S4, P6 and S6. The PVRGF can be used to replace a PVR, should they malfunction or become damaged from debris while on orbit. ESP-3 is an external pallet that can securely hold up to seven critical spare parts, or Orbital Replacement Units (ORUs), for the station. ESP-3 is the third in a series of external storage pallets transported to the station and will be attached to the Port 3 truss element. ESP-1 was installed to the station's U.S. Destiny Lab on STS-102/ 5A.1 in March 2001. ESP-2 was installed to the U.S. Airlock on STS-114/LF1 in August 2005. ESP-3 has six Flight Releasable Attachment Mechanisms (FRAM) to secure or release the ORUs and other equipment stored on it and an Ammonia Tank Assembly (ATA) Flight Support Equipment (FSE) directly mounted to a seventh site. Like ESP-2, the platform is derived from an Integrated Cargo Carrier (ICC), an equipment carrier designed for use in the shuttle's payload, and adapted for deployment on the station by developing a device to attach it to ISS structure. 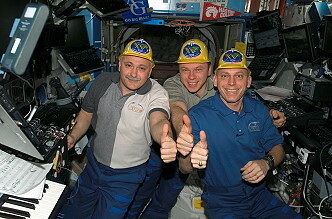 Following a series of leak checks, the hatches were opened at 20:04 UTC, and the Expedition 15 crew welcomed the STS-118 crew aboard the station. Following Endeavour's docking to the station on flight day 3 and shortly after hatches were opened between the two vehicles, SSPTS was activated as two of the four OPCUs were turned on. The system was deactivated shortly before the first spacewalk on flight day 4 to enable the station's starboard solar arrays to be locked in place for the installation of the S5 truss. After that was completed, SSPTS was reactivated until Endeavour was ready to undock and the other two OPCUs were turned on and checked out. The Spacehab Logistics Single Module, a pressurized aluminum habitat that was carried inside the payload bay, had a capacity of 6,000 pounds (2,700 kg), and carried a variety of cargo and research projects, including supply materials for the ISS. It returned cargo, including the MISSE PEC 3 & 4, a Department of Defense payload that had been installed on the ISS. Launched in July 2006, the MISSE PEC-3 & 4 contained over 850 materials specimens that will be studied to determine the effects of long-term exposure to the environment of space. The first EVA by Richard Mastracchio and Dafydd Williams occurred on August 11, 2007 (6h 17m) to remove locks from the S5 that secure it during launch and lock it in place, relocate a radiator from its launch position to the bottom of the S5 to provide clearance for solar arrays to track the sun. During mission STS-120, the radiator will be relocated to its final position. While the EVA was underway, the primary command-and-control computer in the U.S. Destiny lab module unexpectedly shut down, but the two others worked on. The most important objective during EVA 1 was to install the S5 truss. 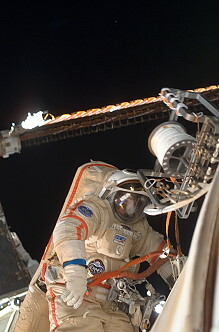 One of the challenges that Charles Hobaugh faced was sliding the S5 spacer into its position using the station's robotic arm, known as the Space Station Remote Manipulator System. In a move similar to parallel parking in a snug space, the spacer came as close as 2.7 inches to the S4 truss. The two spacewalkers monitored structural clearances for the maneuver. Once the S5 was in position, Richard Mastracchio and Dafydd Williams removed the locks that secured it and S4 during launch. The truss was brought into "soft" capture position so that the crew could fasten the primary structural bolts. With the S5 secured, the two spacewalkers moved the Photovoltaic Radiator Grapple Fixture (PVRGF) from its launch location on top of S5 to the keel of the truss. The PVRGF is a handle that was used by the shuttle and station arms to move the truss. It was being relocated to provide enough clearance for the solar arrays to rotate and track the sun. The crew prepared the S5 for the future attachment of the S6 truss segment, connected six utility cables between S5 and S4, removed the S5 and S6 launch locks and opened the S5 capture latch assembly. Next, the two also monitored the retraction and cinching of the P6 photovoltaic radiator, readying it for the next shuttle mission. The retraction provided clearance for the robotic arm that was used when the S-band antenna sub-assembly (SASA) is moved during the third spacewalk. It was then decided to extend the mission for three days, because that for the first time used Station-to-Shuttle Power Transfer System (SSPTS) worked well. SSPTS transfers electrical power from the station to the shuttle, allowing the shuttle to conserve its own power generating resources. It was also reported, that foam hit Endeavour heat shield during launch. The thermal tile gouge almost reaches shuttle's skin. It was a small but deep, scooped-out pit in the heat shield. Another little damage was later found on the orbiters window. The second EVA was again performed by Richard Mastracchio and Dafydd Williams on August 13, 2007 (6h 28m) to move a failed control moment gyroscope (CMG-3) to an unpressurized platform that holds spare parts outside the station called External Stowage Platform-2 (ESP-2), a new platform, ESP-3, was added to the station (stored inside ESP-3 is a new gyro that the spacewalkers used to replace the failed one), disconnect ESP-3 power cables to prepare it for permanent relocation to the station. During the second spacewalk, Richard Mastracchio and Dafydd Williams removed and replaced a failed control moment gyroscope. The station's four CMGs provide primary attitude control for the station. CMG-3 suffered a mechanical failure in October 2006. The remaining gyroscopes have been providing attitude control since then, but all four CMGs will be needed as the station's integrated truss continues to expand. During the spacewalk, Richard Mastracchio and Dafydd Williams removed the failed CMG from the Zenith 1 (Z1) truss and temporarily stowed it on the truss. Then, the crew moved to the shuttle's payload bay and removed the new CMG from where it was stowed on external stowage platform-3 (ESP-3). The station's robotic arm was used to transfer the CMG to ESP-2, located on the starboard side of the Quest Airlock, to prepare it for installation on the Z1 truss. Once the new CMG was installed, the failed CMG was moved from the truss to ESP-2. 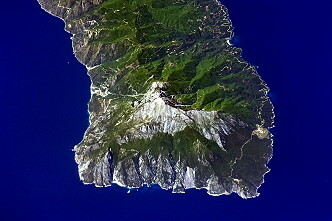 The CMG was returned to Earth on a later mission. External stowage platforms are designed to hold Orbital Replacement Units, or ORUs, such as the CMGs. The two spacewalkers also installed the Z1 shroud, an embossed silver Teflon blanket that is used to protect the CMG from heat. 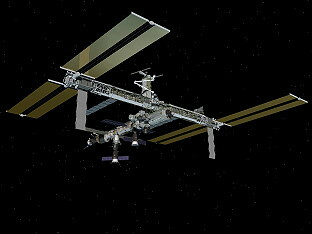 The third EVA by Richard Mastracchio and ISS Expedition 15 crew member Clayton Anderson occurred on August 15, 2007 (5h 28m) to prepare the relocation of the P6 truss segment on the STS-120 mission, move two equipment carts from the right to left side of the station and relocate an antenna and upgrade avionics and communication systems. The primary purpose of the third spacewalk was to prepare for the relocation of the P6 truss, planned for the STS-120 mission. One of the primary tasks was to relocate two crew and equipment translation aid (CETA) carts from the port side of the station's Mobile Transporter to its starboard side. This allowed the Mobile Transporter to move to the proper worksite when the P6 truss is relocated. During the spacewalk, Richard Mastracchio and Clayton Anderson also upgraded the port S-band communications system. Using the station's robotic arm, Charles Hobaugh moved the S-band antenna sub-assembly, or SASA, from the P6 truss to the P1. 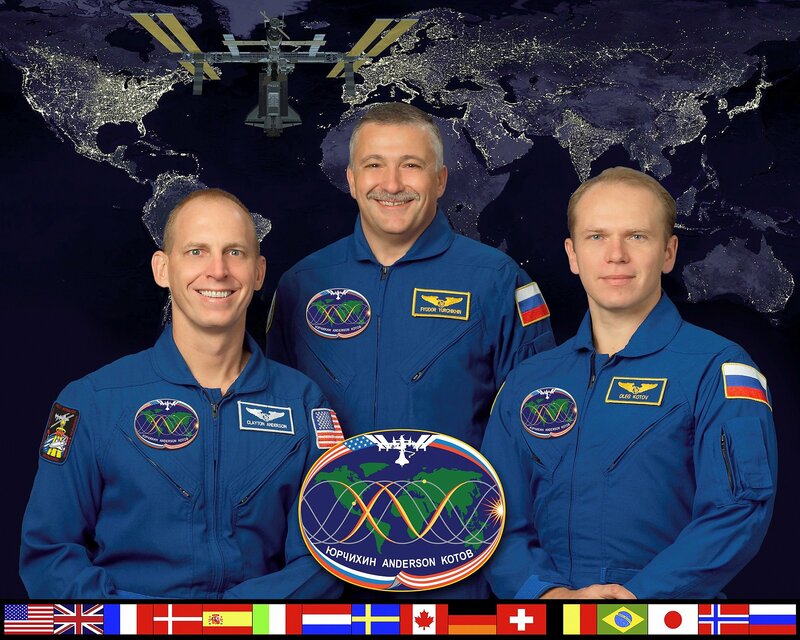 The two astronauts then installed a new S-band transponder and baseband signal processor to P1 and activated it. Together with the relocated SASA antenna, the new transponder and processor provided upgraded voice communications for the station. Richard Mastracchio and Clayton Anderson also retrieved the P6 transponder so that it could be returned to Earth where it will be upgraded and available for a future mission. They engaged the Z1 SASA gimbal locks to prepare them for the next. This EVA had to be shortened because of a damage to the left thumb of Richard Mastracchio's spacesuit glove. At no time was Richard Mastracchio in any danger, NASA said, but flight rules required Richard Mastracchio to end his spacewalking task as a precaution. The fourth and final EVA by Dafydd Williams and ISS Expedition 15 crew member Clayton Anderson was conducted on August 18, 2007 (5h 02m) to install support equipment on the S1 truss that will allow for an addition to the inspection boom during the STS-123 mission, and to install a system to provide better wireless video coverage during future missions. Dafydd Williams and Clayton Anderson installed orbital support equipment for the Orbiter Boom Sensor System (OBSS) on the S1 truss. This installation allowed the addition of a 50-foot (15 meters) inspection boom assembly (IBA) during STS-123. The boom assembly was used for heat shield inspections during the STS-124 mission. The OBSS provides the capability to inspect the shuttle for thermal protection system (TPS) damage and, if needed, to provide a platform to perform TPS repair during a spacewalk. The IBA will consist of two laser sensors, a special black and white TV camera (ITVC), an integrated sensor inspection system (ISIS) digital camera, a pan and tilt unit, two grapple fixtures, and EVA hand-holds. The crew also installed the S3 Wireless Video System External Transceiver Assembly (WETA) on camera port 1 on the S3 truss to provide better wireless video coverage during future missions. On August 19, 2007 STS-118 undocked from the ISS and moved to a distance of about 450 feet (137.2 meters), where Charles Hobaugh began to fly around the station in its new configuration. 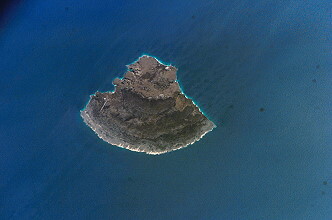 Once Endeavour completed 1.5 revolutions of the complex, Charles Hobaugh fired Endeavour's jets to leave the area. The shuttle moved about 46 miles (74 km) from the station and remained there while ground teams analyzed data from the late inspection of the shuttle's heat shield. 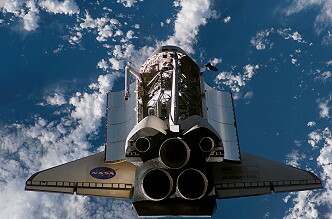 The distance was close enough to allow the shuttle to return to the station in the unlikely event that the heat shield is damaged, preventing the shuttle's re-entry. Anomalous Long-Term Effects in Astronauts' Central Nervous System (ALTEA): Astronauts in orbit are exposed to cosmic radiation that is of sufficient frequency and intensity to cause effects on the central nervous system, such as the perception of flashes of light. Anomalous Long-Term Effects in Astronauts' Central Nervous System (ALTEA) will measure details about the cosmic radiation passing through a crew member's head, while measuring the brain electrophysiological activity and the performance of the visual system. Analyzing Interferometer for Ambient Air (ANITA) will monitor 32 potentially gaseous contaminants - including formaldehyde, ammonia and carbon monoxide - in the atmosphere on the station. 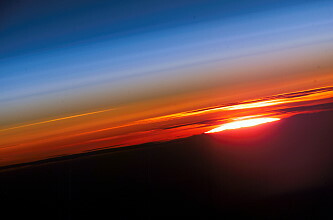 The experiment will test a technology novel to spaceflight for monitoring the atmosphere on the station. The ANITA flight experiment is a trace gas monitoring system based on Fourier Transform Infrared (FTIR) technology. The initial flight of ANITA will test the accuracy and reliability of the FTIR technology as a potential next generation atmosphere trace gas monitoring system for the space station. ANITA will analyze air samples from local and remote areas on the space station. Data will be down-linked daily to the ground team. The Binary Colloidal Alloy Test-3 (BCAT-3) is in reserve operations, awaiting crew time to homogenize and photograph the final samples. There are two types of samples. The first is an experiment of the long-duration phase separation of two mild solvents. The second category is an experiment studying how colloidal net-works form when the effect of gravity (sedimentation) is eliminated. Scientists will use this information to improve models for a wide range of everyday products including cosmetics, paints and fabric softener. For long-duration space-flight to the moon or Mars, NASA needs to understand the "shelf life" of polymers, sol-vents and colloids. Cardiovascular and Cerebrovascular Control on Return from ISS (CCISS) will study the effects of long-duration spaceflight on crew members' heart functions and their blood vessels that supply the brain. Learning more about the cardiovascular and cerebrovascular systems could lead to specific countermeasures that might protect future space travelers more effectively. For crew members' health, the need to maintain blood pressure immediately after returning to Earth is essential. To obtain information on the baroreflex stability (blood pressure regulation) of space station crews, an electrocardiogram and blood pressure data will be gathered before flight, in flight and after flight. The data gathered during this investigation will lead to countermeasures to help crew members maintain sufficient blood pressure after long-duration missions. This study will provide a basis for studies of individuals who are susceptible to fainting in the up-right posture. 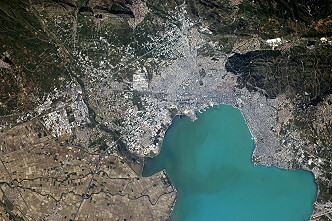 By allowing photographs to be taken from space, the Crew Earth Observations (CEO) experiment provides people on Earth with image data needed to understand our planet. 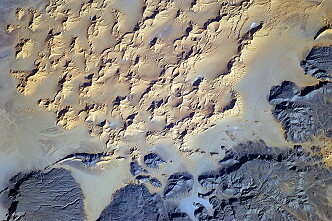 The photographs - taken by crew members using handheld cameras - record observable Earth surface changes over a period of time, as well as more fleeting events such as storms, floods, fires and volcanic eruptions. International Polar Year (IPY) from the International Space Station: The IPY is an international effort to collect relevant scientific data of the Earth's polar regions from March 2007 to March 2009. Scientists will analyze IPY data to answer fundamental questions about the Earth's changing climate, the effects of space weather and Earth processes recorded from the far reaches of upper atmosphere to deep in polar ice cores. Today's IPY celebrates the 50th anniversary of the 1957-58 International Geophysical Year (IGY), the remarkable international collaboration that provided many new findings about the Earth system. Results from the IGY sparked the next 50 years of interdisciplinary studies in Earth science, geophysics, atmospheric science and oceanography. Building from IGY's successes, IPY's focused research of the Earth's polar regions is intended to provide a better understanding of how these hard-to-reach places of the Earth affect the global system. Commercial Generic Bioprocessing Apparatus Science Insert - 02 (CSI-02) is an educational payload designed to interest middle school students in science, technology, engineering and math by participating in near real-time research conducted on board the station. Students will observe three experiments through data and imagery down linked and distributed directly into the classroom via the internet. The first is a seed germination experiment, where students will learn how gravity affects plant development. Small seeds will be developed on orbit in a gar-den habitat. The second experiment will examine crystal growth formation using specific types of proteins and enzymes, and the third experiment will examine crystal formation using silicates - compounds containing silicon, oxygen and one or more metals. For the two crystal growth experiments, students will grow crystals in their class-rooms and analyze growth of those compared to the crystals grown in space. EarthKAM (Earth Knowledge Acquired by Middle school students) is a NASA education payload that enables students to photograph and examine Earth from a space crew's perspective. ELaboratore Immagini Televisive - Space 2 (ELITE-S2) studies the connection among the brain, visualization and motion in the absence of gravity. By recording and analyzing the three-dimensional motion of astronauts, this study will help engineers apply ergonomics into future spacecraft de-signs and determine the effects of weightlessness on breathing mechanisms for long-duration missions. This experiment is a cooperative effort with the Italian Space Agency, ASI. The Elastic Memory Composite Hinge (EMCH) experiment will study the performance of a new type of composite hinge and see if it is suitable for use in space. 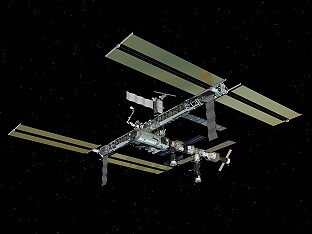 The EMCH investigations conducted aboard the space station are the first ever performed in space. Building new spacecraft structures in space necessitates deploying or "unfolding" items that have been launched from Earth. This experiment will use Elastic Memory Composite Hinges (EMCH) to move an attached mass at one end. The Air Force Research Laboratory developed the hinge from a resin and carbon fiber laminate. The study will measure the force and torque on the hinge and the accuracy of the deployment. New materials that are reliable, light and strong will be important buildingblocks of future exploration spacecraft. Education Payload Operations (EPO) refers to an education payload or activity designed to support the NASA mission to inspire the next generation of explorers. Generally, these payloads and activities focus on demonstrating science, mathematics, technology, engineering or geography principles. 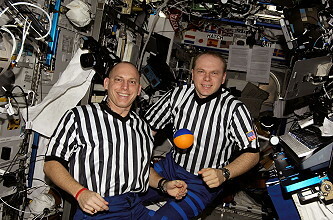 Video recording of the demonstrations and/or still photographic documentation of a crew member operating EPO hardware while on orbit will achieve EPO goals and objectives. The overall goal for every expedition is to facilitate education opportunities that use the unique environment of human spaceflight. Epstein-Barr Space Flight Induced Reactivation of Latent Epstein-Barr Virus: This experiment is designed to examine the mechanisms of spaceflight- induced alterations in human immune function and dormant virus reactivation. Specifically, this study will determine the magnitude of immunosuppression as a result of spaceflight by analyzing stress hormones, measuring the amount of EBV activity, and measuring white blood cells' virus-specific activity. Validation of Procedures for Monitoring Crew Member Immune Function (Integrated Immune) will assess the clinical risks resulting from the adverse effects of spaceflight on the human immune system. It will validate a flight-compatible immune monitoring strategy by monitoring changes in the immune system through analysis of blood, urine and saliva samples collected from crew members before, during and after spaceflight. Behavioral Issues Associated with Isolation and Confinement: Review and Analysis of ISS Crew Journals: The purpose of this experiment is to collect behavioral and human factors data for analysis, with the intention of furthering our understanding of life in isolation and confinement. The objective of the experiment is to identify equipment, habitat and procedural features that help humans adjust to isolation and confinement and remain effective and productive during long-duration space expeditions. The method used in the experiment is analyzing the content of journals the International Space Station crews maintain for this purpose. Latent Virus: Incidence of Latent Virus Shedding during Spaceflight: The objective of this experiment is to determine the frequencies of reactivation of latent viruses and clinical diseases after exposure to the physical, physiological, and psychological stressors associated with spaceflight. The Lab-on-a-Chip Application Development Portable Test System, or LOCAD-PTS, is a handheld diagnostic reader and set of instruments small enough to fit into a compact ice cooler. 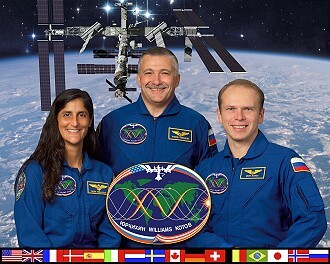 On the space station, crew members will test the hand-portable detection unit. They will conduct experiments, taking samples from their own environment, to determine the system's effectiveness at acquiring samples in a weight-less environment and to quantify levels of bacterial contamination. The results will help researchers refine the technology for future moon and Mars missions. Lab-on-a-chip technology allows chemical and biological processes - previously requiring large pieces of laboratory equipment - to be performed on small plates etched with fluid channels called capillaries. Using these channels, chemicals and fluid samples can be mixed, diluted, separated and controlled for study. Midodrine: Test of Midodrine as a Countermeasure Against Post-flight Orthostatic Hypotension: Many astronauts experience orthostatic hypotension (dizziness caused by a decrease in blood pressure) upon return to the Earth's gravity. This could be a problem for landing on other planets as well. This experiment measures the ability of the drug midodrine, when used as a countermeasure, to reduce the incidence and/or severity of orthostatic hypotension. On Earth, and in studies that simulate weightlessness, the drug midodrine has been used extensively to treat low blood pressure. This experiment was flown as a Detailed Supplementary Objective on STS-108 and aboard the space station during Expedition 5. The Materials on the International Space Station Experiment (MISSE) Project is a cooperative endeavor to fly materials and other types of space exposure experiments on the station and is managed by NASA Langley Research Center, Hampton, Va. The objective is to develop early, low-cost, non-intrusive opportunities to conduct critical space exposure tests of space materials and components planned for use on future spacecraft. Myofibers - Cell Culture Module (M-CCM): Exposure to microgravity has adverse effects on living systems. Muscle loss in astronauts is a major concern for future spaceflights to the moon and Mars. Myofibers - Cell Culture Module (M-CCM) investigates the effects of microgravity on muscle deterioration to develop a successful countermeasure for astronauts on long-duration missions. Myofibers are the primary cells in skeletal muscle mass. Studies have shown that astronauts experience significant loss of muscle mass during space exploration due to the stresses of microgravity on the physiology of living systems. Nutrition: Nutritional Status Assessment: The Nutrition protocol will help the Human Research Program gain a better under-standing of the time course of nutrition-related changes during flight and will help define the nutritional requirements for space travelers. This likely will impact food system development for future space exploration programs to the moon and Mars. This experiment also will help us under-stand the impact of countermeasures (for example, exercise or pharmaceuticals) on nutritional status. Ensuring that we send the right nutrient balance for long-duration missions is critical for crew health and mission success. Optimization of Root Zone Substrates (ORZS) was developed to provide direct measurements and models for plant rooting media that will be used in future Advanced Life Support (ALS) plant growth experiments. The goal of this investigation is to develop and optimize hardware and procedures to allow optimal plant growth to occur in microgravity. The Periodic Fitness Evaluation with Oxy-gen Uptake Measurement (PFE-OUM) will demonstrate the capability of crew members to perform periodic fitness evaluations (PFE) with continuous oxygen consumption measurements. The evaluation will take place within 14 days after arrival on the International Space Station and once a month during routine PFEs. When the capability of the pulmonary function system (PFS) to perform PFEs is verified, crew members will be able to integrate their monthly PFE with oxygen consumption measurements to fulfill the requirement for cardiovascular fitness evaluations during long-duration space-flight. Perceptual Motor Deficits in Space (PMDIS): This experiment will measure the decline in hand-eye coordination of shuttle astronauts while on orbit. These measurements will be used to make distinctions between three possible explanations for the decline. Bioavailability and Performance Effects of Promethazine During Spaceflight (PMZ): Promethazine (PMZ) is used to treat space motion sickness during shuttle missions. However, side effects associated with PMZ when used on Earth include dizziness, drowsiness, sedation and impaired psychomotor performance, which could impact crew performance or mission operations. Early anecdotal reports from crew members indicate that these central nervous system side effects of PMZ are absent or greatly attenuated in microgravity. Systematic evaluation of PMZ bioavailability, effects on performance, side effects and efficacy in the treatment of space motion sickness are essential for determining optimal dosage and route of administration of PMZ in flight. Space Acceleration Measurement System (SAMS) and the Microgravity Acceleration Measurement System (MAMS): The International Space Station microgravity acceleration environment consists of two regimes: the quasi-steady environment and the vibratory/transient environment; there-fore, the measurement of the microgravity acceleration environment is best accomplished by two accelerometer systems. In the U.S. Laboratory Module, the measurement of these two regimes is accomplished by the Space Acceleration Measurement System (SAMS) and the Microgravity Acceleration Measurement System (MAMS). It is necessary to measure the microgravity environment on board the station to provide this data to the scientists and researchers of the payload experiments. SAMS and MAMS provide acceleration data to fluid physics, material science and combustion experiments on board the station that study phenomena that are isolated by the micro-gravity environment. Acceleration data would be requested by the researcher of any experiment where the effects of gravity are important to the results of the research and affect the outcome of the scientific data. Streptococcus Pneumoniae Expression of Genes in Space (SPEGIS): S. pneumoniae is a respiratory microbe that is normally found in the upper respiratory tract of approximately 40% of the healthy human population. This experiment will lead to an increased understanding of S. pneumoniae, which is an opportunistic human pathogen. It is anticipated that the results from this study will advance our understanding of the virulence mechanism of this bacteria and how it adapts to different environments. The identification of specific S. pneumoniae virulence factors and cellular and molecular processes may aid scientists in furthering the understanding of how this bacteria causes infection. This data may aid in the design and development of new antimicrobial drugs. The Synchronized Position Hold, Engage, Reorient, Experimental Satellites (SPHERES) experiment will be used to develop the software needed to control multiple spacecraft flying close together and to test formation flying in microgravity. The experiment will serve as an International Space Station-based test bed for the development and testing of formation flying and other multi-spacecraft control algorithms. SPHERES consists of three self-contained, bowling ball-sized "satellites" or free-flyers, which perform the various algorithms. Each satellite is self-contained with power (AA batteries), propulsion (CO2 gas), computers and navigation equipment. 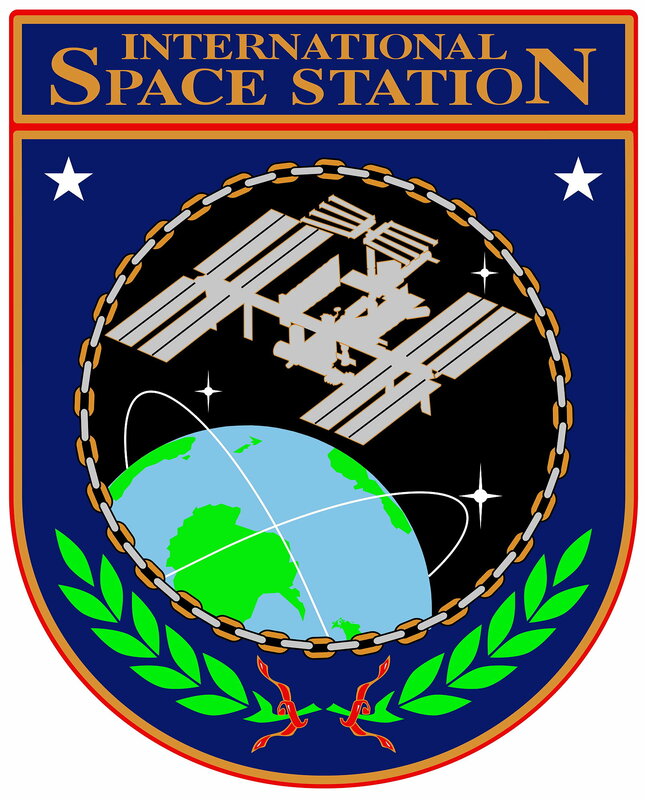 As the satellites fly through the station, they will communicate with each other and an International Space Station laptop via a low-power, 900 MHz wireless link. A Comprehensive Characterization of Microorganisms and Allergens in Spacecraft (SWAB) will use advanced molecular techniques to evaluate microbes on board the space station, including pathogens (organisms that may cause disease). It also will track changes in the microbial community as spacecraft visit the station and new station modules are added. This study will allow an assessment of the risk of microbes to the crew and the spacecraft. Sleep-Wake Actigraphy and Light ExposureDuring Spaceflight-Long (Sleep-Long): Sleep-Long will examine the effects of spaceflight on the sleep-wake cycles of the crew during long-duration stays on the International Space Station. Previous research on space shuttle crew-members has shown that sleep-wake pat-terns are disrupted on orbit. This experiment will examine whether sleep-wake activity patterns are disrupted during long du-ration stays on the International Space Station. A wrist-worn Actiwatch will record the activity of the crewmembers when they sleep and the ambient light they experience. Results will be used to evaluate the crewmembers' subjective evaluation of the amount and quality of their sleep. This work will help in defining light requirements, sleep-shifting protocols and workload plans for future exploration missions and determine if further countermeasures to sleep disruption will need to be tested. Sleep-Wake Actigraphy and Light ExposureDuring Spaceflight-Short (Sleep-Short): Sleep-Short will examine the effects of spaceflight on the sleep-wake cycles of the astronauts during space shuttle missions. Advancing state-of-the-art technology for monitoring, diagnosing and assessing treatment of sleep patterns is vital to treating insomnia on Earth and in space. Previous research on space shuttle crew-members has shown that sleep-wake pat-terns are disrupted on orbit. A wrist-worn Actiwatch will record the activity of the crewmembers when they sleep and the ambient light they experience. Results will be used to evaluate the crewmembers' subjective evaluation of the amount and quality of their sleep. Stability of Pharmacotherapeutic and Nutritional Compounds (Stability): The radiation environment in space can have negative effects on many systems, not only the human body. Complex organic molecules could be affected by radiation, including vitamins and other compounds in food and pharmaceuticals (medications). Exposure to radiation may render these compounds ineffective. Determining the magnitude of these effects on the stability of medicines and food will help better plan for exploration missions, and may facilitate development of stable and reliable pharmaceutical and nutritional countermeasures suitable for future long-duration expeditions to the moon and Mars. This study will document the changes in pharmaceuticals and foods after these items are stored for long durations in space. Knowledge gained from this research project will direct future efforts for potent formulation development, packaging and/or shielding for medicines and foods to ensure efficacy (effectiveness) of medicines and quality nutritional value of food products used by crew throughout exploration missions. The Test of Reaction and Adaptation Capabilities (TRAC) investigation will test the theory of brain adaptation during spaceflight by testing hand-eye coordination before, during and after the mission. TRAC will investigate the theory that the decrease in motor skills, for example, hand-eye coordination, is a result of the brain's adaptation to being in space. By testing hand-eye coordination of the space station crew, scientists hope to confirm that while the brain is adapting to microgravity, it is unable to provide the resources necessary to perform normal motor skills. 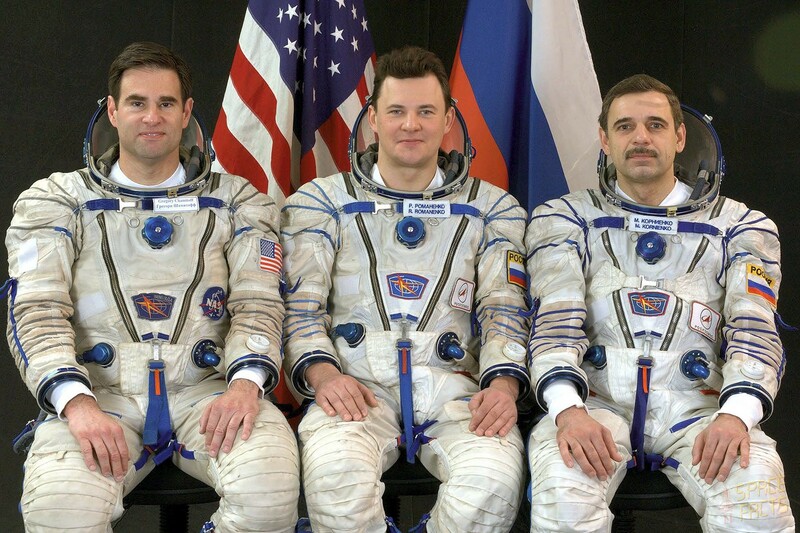 On October 12, 2007 Russian spacecraft Soyuz TMA-11 brought the two new crewmembers of Expedition 16 to the station. Finally the station command changed from Russian cosmonaut Fyodor Yurchikhin to US astronaut Peggy Whitson. Expedition 15 offically ended with undocking of Soyuz TMA-10 on October 21, 2007 at 07:14 UTC. ZPM (International Space Station Zero-Propellant Maneuver (ZPM) Demonstration).